No man on Earth has been lied about more than Slobodan Milosevic. One of the most popular lies is that he whipped up nationalism among the Serbian people, and through that nationalism he incited the wars that destroyed the Socialist Federative Republic of Yugoslavia. Milosevic's speeches were never nationalistic, nor did they contain any racism. 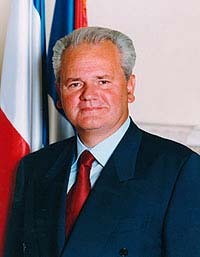 We have posted the complete and unedited transcripts of Milosevic's speeches and interviews spanning his entire political career. Read his words and judge for yourself whether he was trying to whip up nationalism and incite wars.